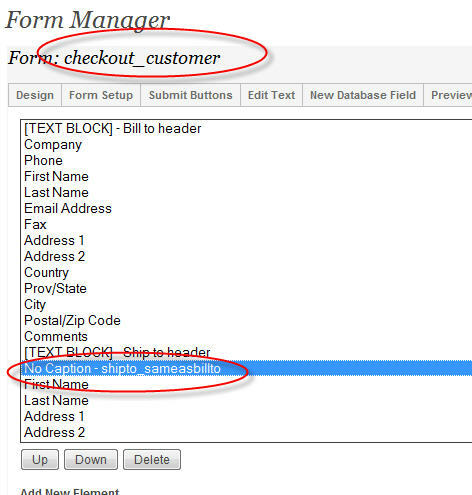 Above the ship to address on the form, there is a checkbox that allows the user to indicate they want to ship their products shipped to their '"bill to" or "ship to" address. If this checkbox if checked by the use clicking it, all the fields in the ship to section will disappear. When the user clicks it again, the fields will re-appear. So in general, we are hiding and showing fields on the form based on a users selection. So we've create our function and we're passing into the function the value of the checkbox using "this.checked" into the variable "chk". 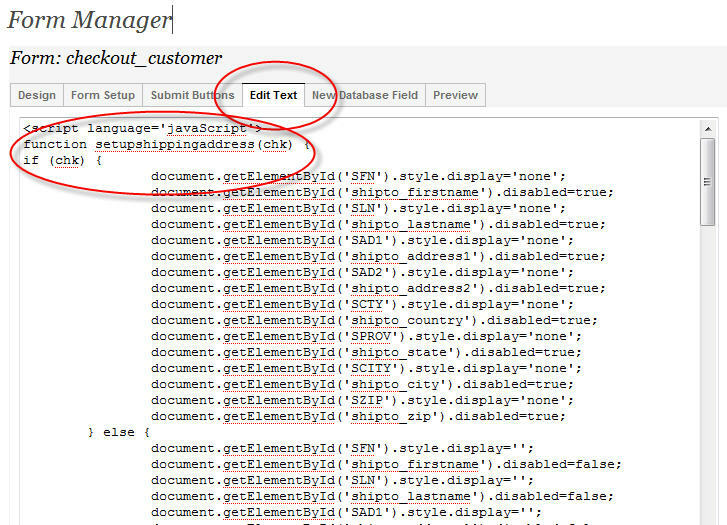 If the checkbox is checked, chk will be true and all the fields in the ship to address section will be hidden by setting the display of the rows that these fields are on in the table to "none".